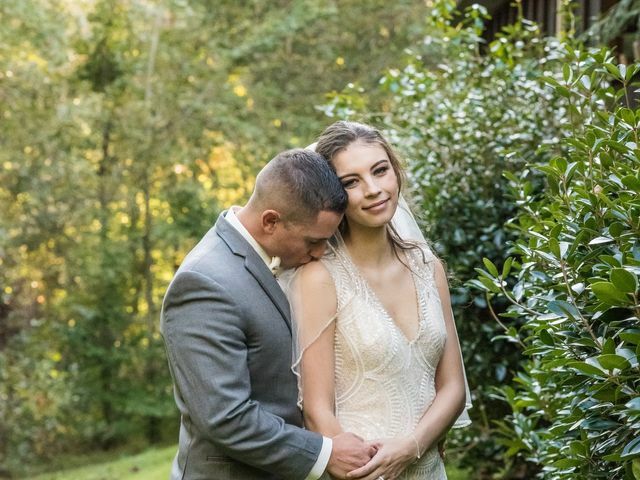 Sautee Mountain Retreat, a wedding venue located in Clarkesville, Georgia, gives couples the opportunity to ditch city living for the serene mountains on their wedding day. This retreat is the perfect destination for a natural, rustic celebration. 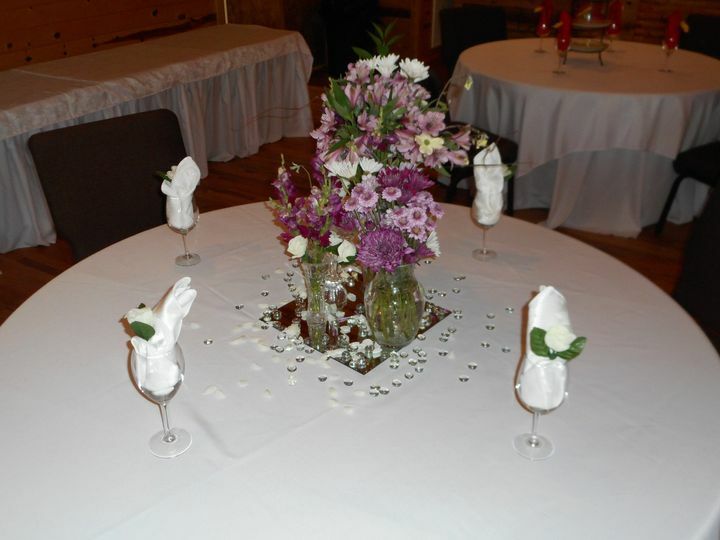 The venue is nestled in a peaceful, relaxed environment between Alpine Helen and Lake Burton. This property also features views of the North Georgia Mountains. 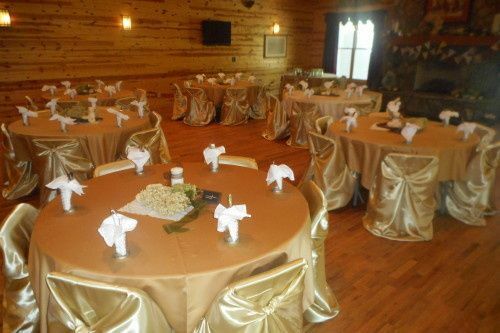 Reserve your space today and transport yourself to the calming, natural environment of Sautee Mountain Retreat for your bridal shower, engagement party, rehearsal dinner, ceremony, elopement, or reception. 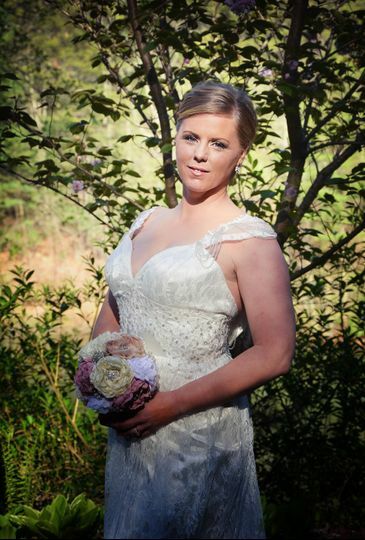 Sautee Mountain Retreat is a hidden treasure that is perfect for destination weddings. Guests can stay in beautiful mountain villas or romantic cabins and enjoy the magnificent Mountain Lodge on the premises. This venue offers a number of indoor and outdoor event areas and works with nearby establishments to create scenic spaces. Their Serenity Garden features a flowing stream, water features, and a magnificent wooden arbor. Nearby outdoor areas include a charming horse farm, romantic vineyards, and cozy chapel. The Mountain Lodge is the crown jewel of the property and a magical location for an indoor wedding. 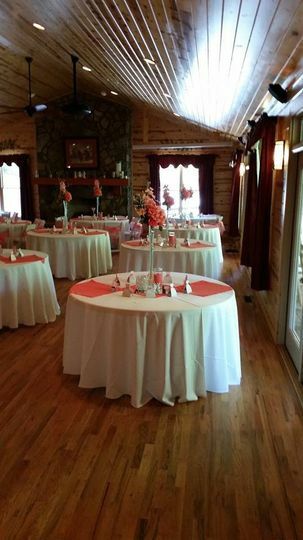 With a huge stone fireplace and porch area, this venue is ideal for large parties. The property can handle up to 180 guests. The hospitable staff offers in-house catering options for parties of 40 or less. For bigger wedding parties, the venue provides an approved list of amazing local caterers that are guaranteed to satisfy every palate. No matter what you envision your dream wedding to look like, Sautee Mountain Retreat will ensure your happiness. They can even provide you with china and linens to use. 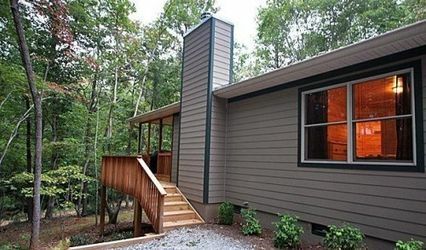 The scenic Sautee Mountain Retreat is located approximately 90 minutes from Atlanta. 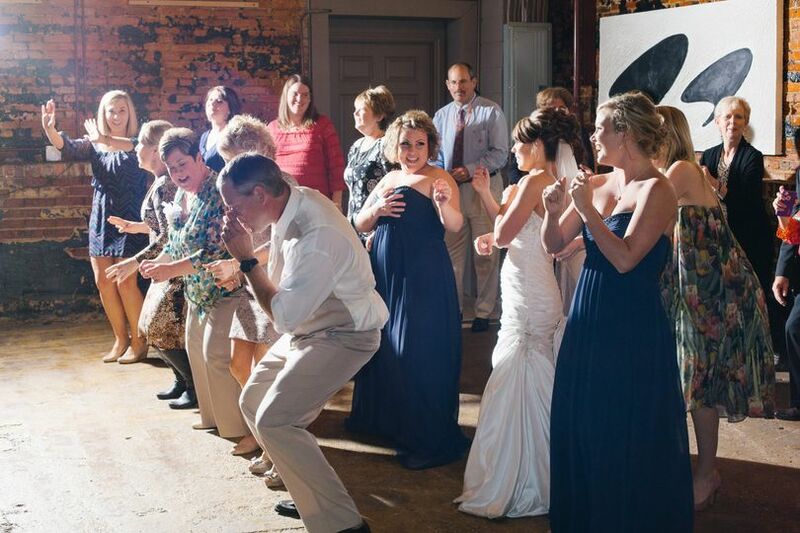 This venue hosts couples from the local area, including Atlanta, Dahlonega, and North Georgia. During your stay, you will be situated near many shopping areas and restaurants as well. 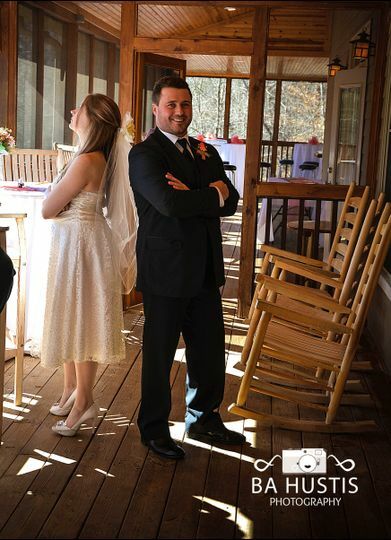 We held our wedding and our reception at Sautee Mountain Retreat in Clarkesville, GA, and I cannot recommend it highly enough. If you are looking for a lovely, relaxing, intimate and affordable wedding and/or reception venue, this is the perfect place. 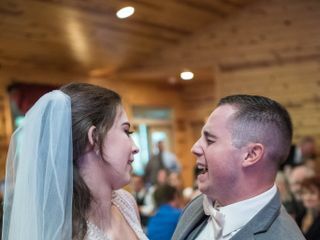 My family and friends continually commented on how the Retreat—the lodges, the garden wedding site, the reception hall, and the wooded environment—were both elegant and deeply relaxing. 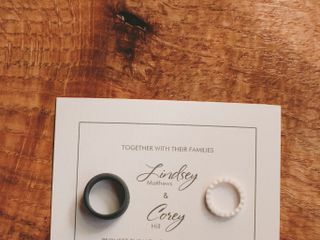 Moreover, my husband and I and my family took advantage of the lodges for our wedding night. The one-bedroom, four-bedroom, and five-bedroom cottages are well-appointed with every amenity, and I’m sure we will be back for family reunions. 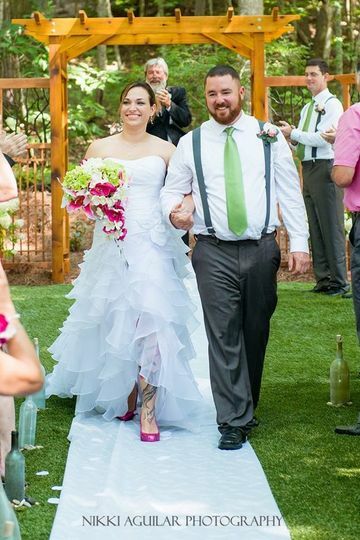 Thanks to everyone at Sautee Mountain Retreat for creating the perfect wedding for us! 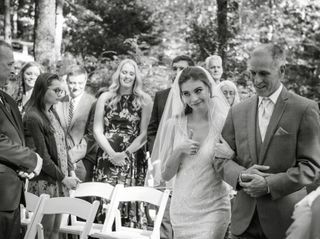 Sautee Mountain Retreat is the absolute best place in North Georgia for a wedding, family reunion, corporate retreat, girls weekend out, etc. Kathryn Vazquez is the best in working with on details, handling changes, being flexible, and having great back-up plans. She is extremely professional, responsive, and so understanding of all the changes we had to make due to our families making last minute decisions. Not only was the personnel outstanding from Kathryn, cleaning personnel, and caterer, but also all the facilities are kept extremely clean, attractive, and well stocked (cabins/villas/lodge). Due to Kathryn's flexibility and unexpected warmer weather, we were able to move our wedding to the Serenity Garden outside by the waterfalls. 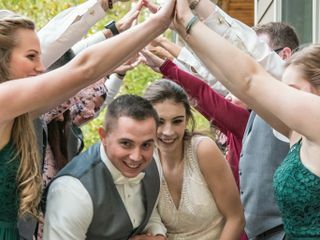 The facilities and personnel all contributed to having an absolutely wonderful wedding and creating great memories for all the family and friends able to come. 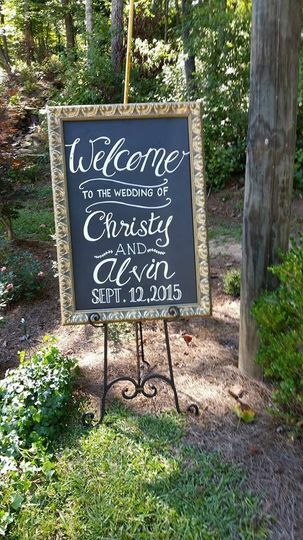 We got married on 9-12-15 and it was the most amazing day and such a beautiful place to get married at. Our guest told us it was like a fairy tale wedding. I am so very thankful to have found this place and that we got married there. The Sautee Mountain Retreat is a treasure, hidden within the hills of Northeast Georgia. 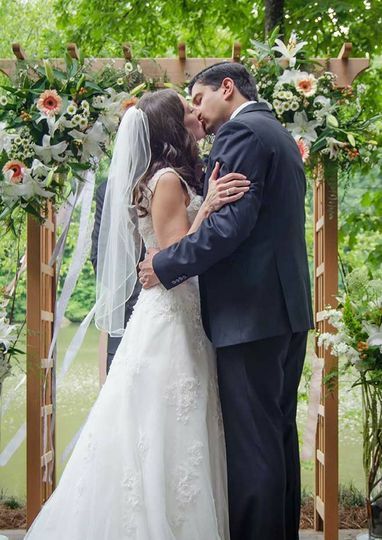 Have your wedding ceremony in the hillside garden, as you listen to a cascading waterfall slowly streaming along behind your "I Do&apos;s". 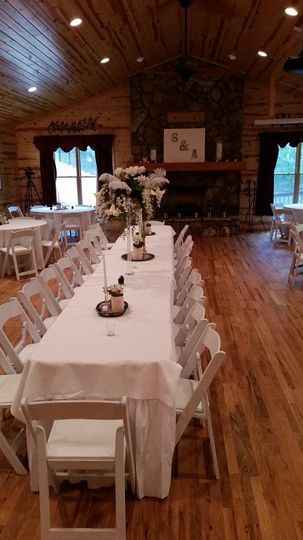 Afterwards, wind down the path to a cozy large cabin for your reception. Air conditioned in the Summer and warmed by the fire in the winter, a wrap-around porch comfortably suits the guests who meander to the quaint and easily accessible bar area. Do yourself a favor and call Kathryn for a tour today! Beautiful outdoor wedding site with a gorgeous reception venue. 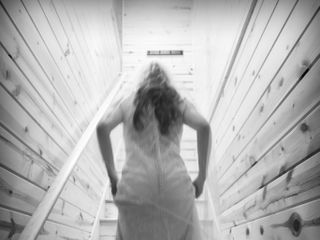 Kathryn is very knowledgeable and easy to work with.